This is in fact one of the first characteristics of the Binson, the possibility of looping endlessly the repeats as far as the echo starts to oscillate. The “Length of swell” control, works in close sinergy with the “Bass Treble” pot letting you to bright up or darken the repeats to obtain at the maximum level, that particular psychedelic flavour a la Pink Floyd, dynamically enhancing every note played. 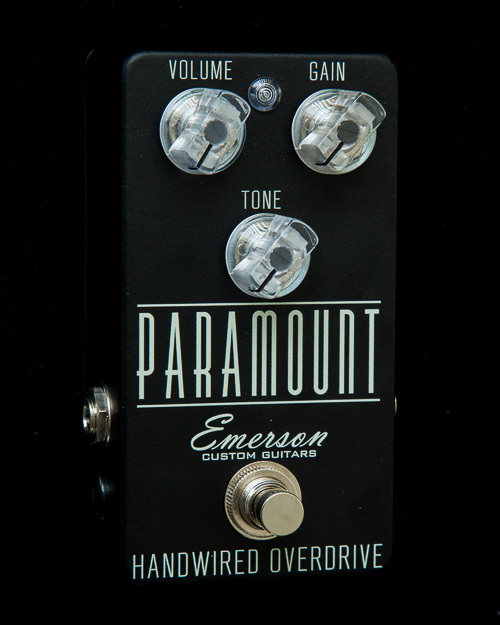 The delay time the Echosex 2° doubles the original Binson capability, going from 60 ms to 660 ms. This parameter is controlled by the “Echo” pot. The modality chosen between the heads combinations of the Echorec is the number 4, the one corresponding to the single and most far head capable of the longest delay (310ms) that we found around the 6 and 7 position on the Echosex 2° control. The echosex project got its start almost two years ago from a challenge of Tullio Ferro, one of the most reknown and appreciated Italians songwriters, author of Vasco Rossi’s most beautiful songs and Binson echorec enthusiast, to Guglielmo Cicognani considered one of the best echorec restorer. The basic idea was to fix the well known issues of the beloved Binson which were bad companions of its lucky users even though its beautiful voice goes far beyond every other unit sold today and these problems become secondary. The first issue was the unit’s reliability, even if it could be tollerable in a studio situation it becomes really frustrating on a tour basis where it’s not possible to lose time to fix technical problems too often. Also Gilmour once said that He probably was one of the 2 people all over the world being able to fix an Echorec that doesn’w work properly. The other “problems” that are better defined as “Limits” , that was one of the causes that make Gilmour dismiss it, was the max delay time of only 310ms ca. To count instead in its sought after and irreplaceable “features” there is its “voice” and ethereal and mystic halo only was able to create and that are not possible to reproduce with a more modern delay unit. Also the mechanical wearing of all the mechanical parts that were so important for the result, contributed to the difference from a unit to another, feeding this way myths and legends…. So, we started from here, from the idea of bringing back something capable of “saving” the things the guitar players most search in a Binson unit, leaving behind features that are less important and still trying to solve the problems and limits said before in order to create an object that could bring back to life all the feelings that only an old Binson could give without paying thousands of euros. The result obtained after more then one year of work is the Echosex 2°, that is in first call a beautiful object that recalls at the same time the feeling of an old precious and the stability of a modern tool. It takes us back in that particular era thanks to its illuminated panel all the other references to the originals so familiar to our passion. The controls respect the “Macaroni” english used in the original description of the Binson and also for the new add control, we chose the same “style” calling it “age of damage” regarding its function to control the simulation of the wrong functioning of the old mechanical system. 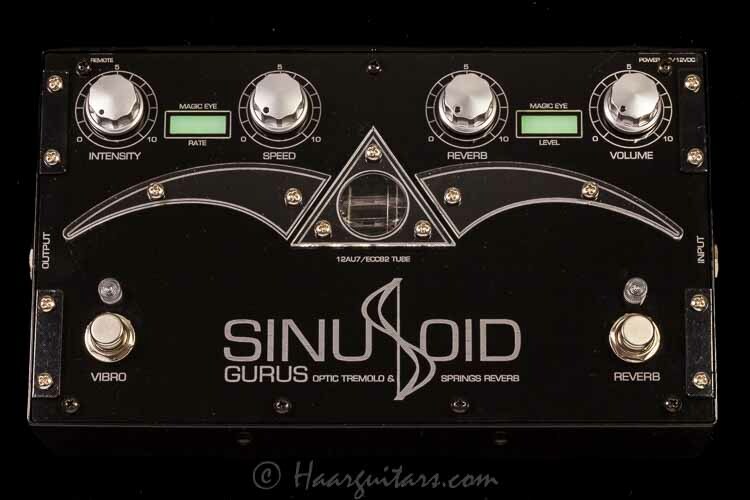 The construction quality is tank like and very well engineered, all the controls are in the right place, a preamp tube and also the dip switches that permit the setting of the pedal for different situations (adj. I/O levels, programming the footswitch button). In facts as was for the Binson, for the Echosex 2° there is the possibility to be used as a tube pre-amplifier ( for voice, bass, or keys) too. The dip switches provide the option of having the echo trail fade or cut off when the bypass button is pressed. In the center of the panel it is well shown the tube, a double triode 12AX7B super selected and balanced personally by Guglielmo Cicognani himself. The tube is lit in green and surrounded by LED that follows the dynamic of the input signal like the magic eye in the old Binson did. The control “Volume Echo” is a mix control the will let us increase or decrease the quantity of effect mixed with the dry signal up to the 50% in relation to the guitar signal. The “Length of swell” controls the feedback namely the quantity of repeats desired starting from 1 and going to infinite and self-oscillation. The “age of Damage” control represents a features that lets you shape the personality of your own echo unit. In fact this control determines the quantity of aging of the mechanical parts that usually changes from a unit to the other, making every single echorec a unique object. Just to make an example, there was a rubber wheel pushed against the magnetic disc by a spring.. when that unit was unused for long period, that rubber wheel became oval and push the disc irregularly. This parameter has been the most difficult to create, in fact Guglielmo Cicognani had to physically measure the moving parts of the original units to calculate in the most positive way how this “aging” affected the sound. 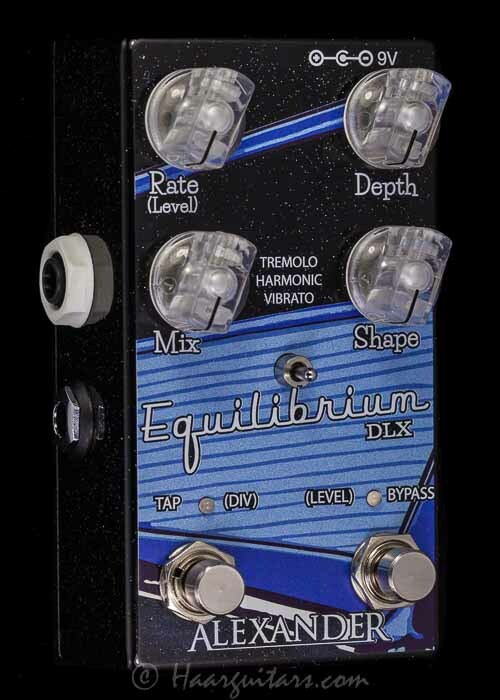 The effect is something beautiful that goes from a light and lush modulation to a strong pitch shifting. 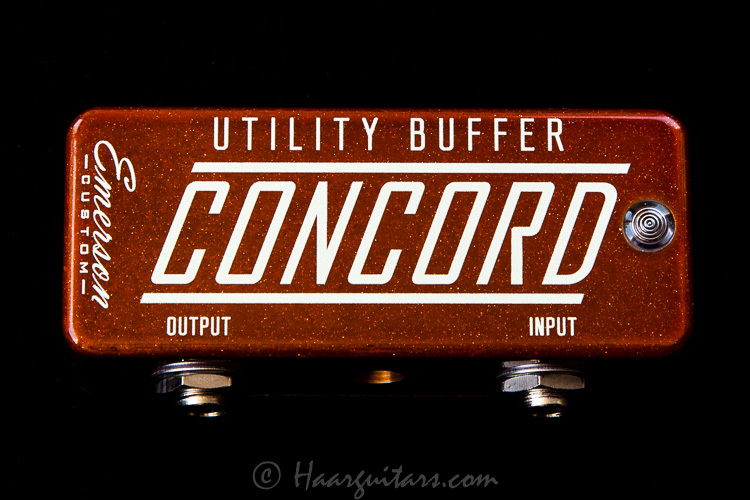 The repetitions are generated by the trusty PT2399 processor used in the most famous delay units. To avoid the Cold character of a modern delay, Guglielmo Cicognani has developed an unprecedented way of using this component. Once the repeat is generated, it is treated just like the dry signal, by our reproduction of “Binson System” composed by tube preamp-heads simulation-filters. This is the very core of this machine and it is what makes the Echosex 2° so true to the original. 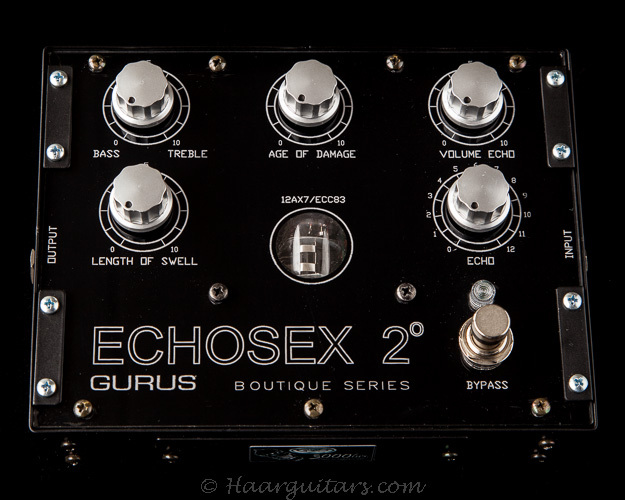 In conclusion, my personal thought is that the Echosex 2° fully reaches the goal of being an instrument on its own, not only an effect unit. It is a tool that takes you on a magic carpet thru aetherial and tridimensional ambients and sparks your creativity giving you a way to create unheard of textures.